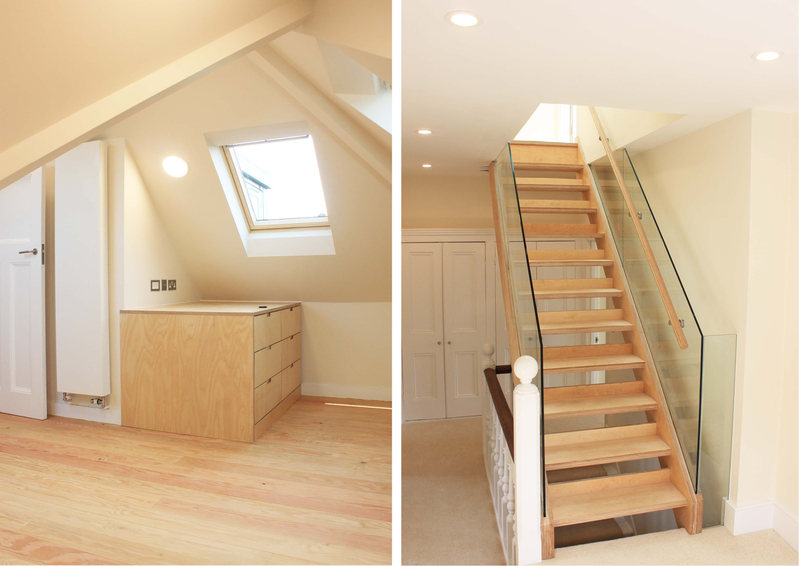 Full refurbishment and large loft conversion of a 1930s semi-detached house in Lewisham. This project is in progress. 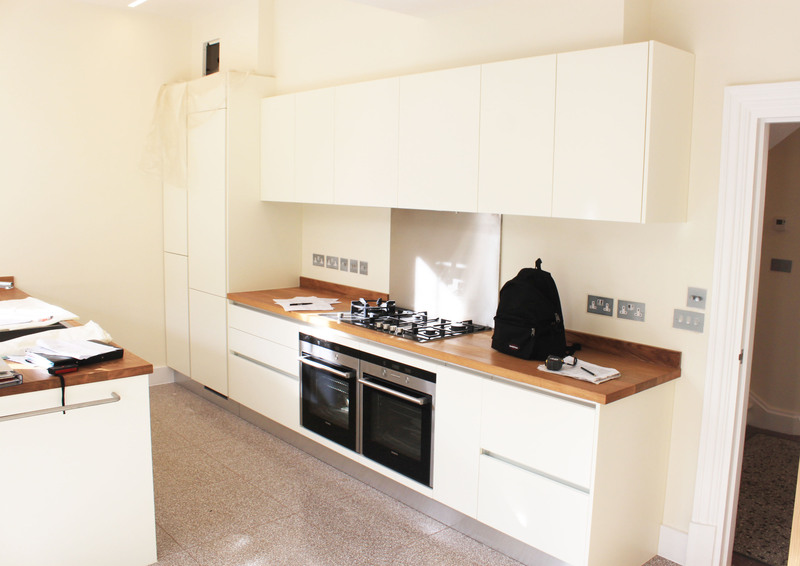 The work to this rather lovely period house was extensive and carried out to a high standard. 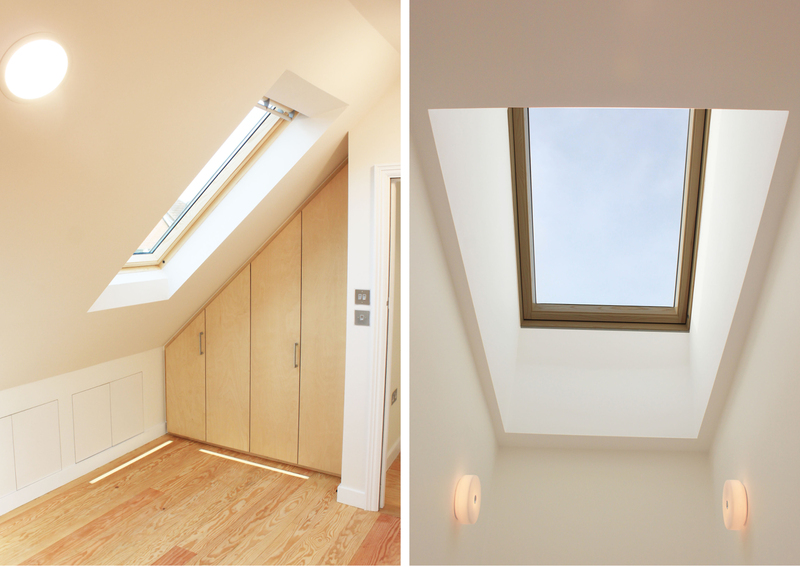 Opportunities to bring in more natural light were exploited and spaces subtly defined by use of materials. 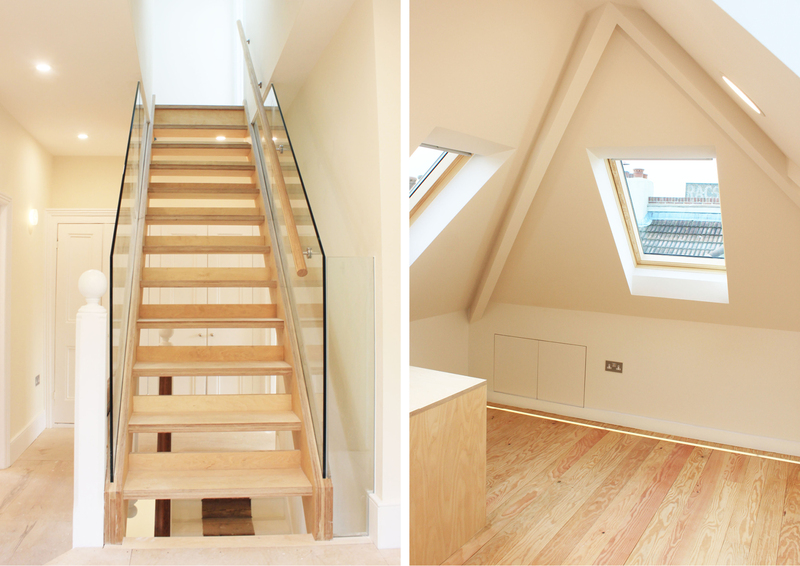 The clients' love of timber and craftsmanship was manifest in the detailing, with the glowing textural qualities of birch faced plywood employed in the creation of joinery for the new stair and storage. The original terrazzo floors to the hall and bathroom were refurbished and a new high-quality terrazzo floor installed in the kitchen.